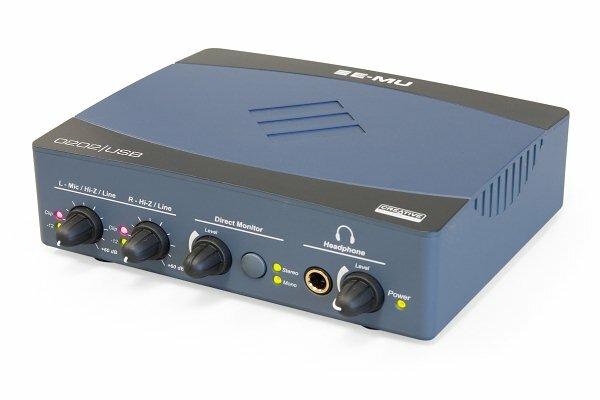 E-MU announced the 0202 USB 2.0 Audio Interface back in 2006. It's a portable device for PC and Mac, offering 24-bit 192 kHz recording and playback, direct monitoring, and a host of professional features in a compact USB-powered enclosure. The device is equipped with two Class-A preamplifiers for guitars, synthesizers, microphones, with individual ground lift switches for optimal audio performance. 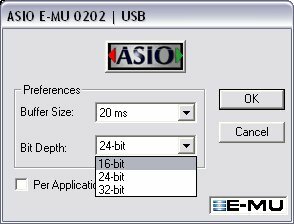 At the same time, E-MU 0202 USB 2.0 does not support phantom power supply. The device comes with E-MU Production Tools Software Bundle for PC and Mac. Production Tools software contains the E-MU Proteus VX audio module, as well as various programs from Cakewalk, Steinberg, Ableton, IK Multimedia, etc. All controls are located on the front panel. Input gain controls have signal level and clip indicators. Direct Monitor level control with a Mono-Stereo switch. Headphone jack with a volume control, which also turns the device on or off. The E-MU 0202 USB 2.0 receives its power from the USB bus only. This connector is located on the rear panel. There is also a switching panel here. There are ground lift switches located on the bottom of the unit. The device uses the CS4392 DAC and the AKM AK5385 ADC. The same DAC is used in the E-MU 1820 and the E-MU 1616. The same ADC is used in the E-MU 0404 usb. RMAA diagnostics show that the device supports frequencies from 44.1 kHz to 192 kHz. ASIO applications will see two input/output channels associated with physical digital and analog inputs/outputs. E-MU 0202 USB 2.0 -> E-MU 1616m. E-MU 1616m -> E-MU 0202 USB 2.0. The control panel is implemented as a single small window. You can choose a sample rate and change the color palette of the panel. When you work with the ASIO interface, the drivers automatically detect and set a necessary sampling rate. ASIO buffer size is changed easily as well, there is no need to restart programs. But you can do it only in ASIO Control Panel. The native control panel does not mention buffer sizes. Perhaps, its size is fixed for the MME interface. There is no rate automation for MME in the current drivers either. Along with the buffer size, ASIO Control Panel allows to reduce the load on the USB bus by choosing bit capacity. In the course of our subjective tests, we connected the interface directly to the ADAM S2.5A monitors. We compared the device with the ESI Juli@ and the E-MU 1820. 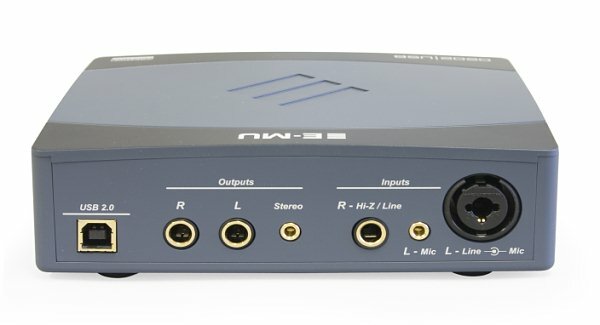 The E-MU 0202 USB 2.0 Audio Interface offers a tad higher quality than these cards. The difference between these devices is not big, it's even smaller in case of the ESI Juli@. We've heard a tad higher detail level, mostly at high frequencies. We also compared the headphone output quality of the E-MU 0202 USB 2.0 and the ESI Juli@ card with Behringer UB502. We've performed comparative audition with the Sennheiser HD 600 and Beyerdynamic DT 250 headphones. This test also reveals an advantage of the E-MU 0202 USB 2.0. At the same time, the difference is not very big - it consists in the quality of high frequencies. In our opinion, the E-MU 0202 USB 2.0 is a very good product. 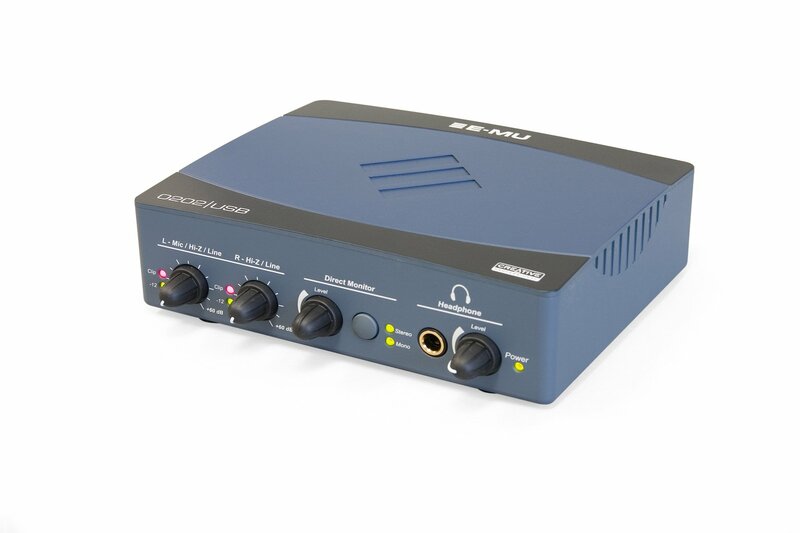 Although the unit does not have phantom power supply at the microphone input, quality of the analog section puts the cheaper E-MU 0202 USB 2.0 with more interesting functions on the same level with the ESI Juli@/M-Audio Audiophile 192. Note the high quality headphone output, which is better than the one in the inexpensive audio mixer. 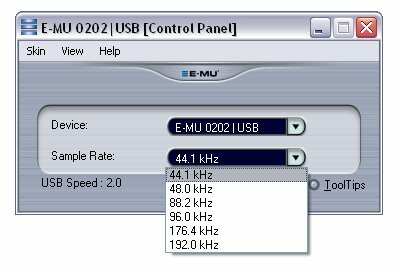 Many users think that the E-MU 0202 USB 2.0 is a cut-down modification of the 0404 USB 2.0. Our tests show that it's not exactly true. The 0202 is a high quality product. It's a strong competitor in its price segment. We can recommend it, if you need a dual-channel solution, and if you don't plan to use an electrostatic microphone.